All ASPEN SUMMIT homes currently listed for sale in Provo as of 04/18/2019 are shown below. You can change the search criteria at any time by pressing the 'Change Search' button below. 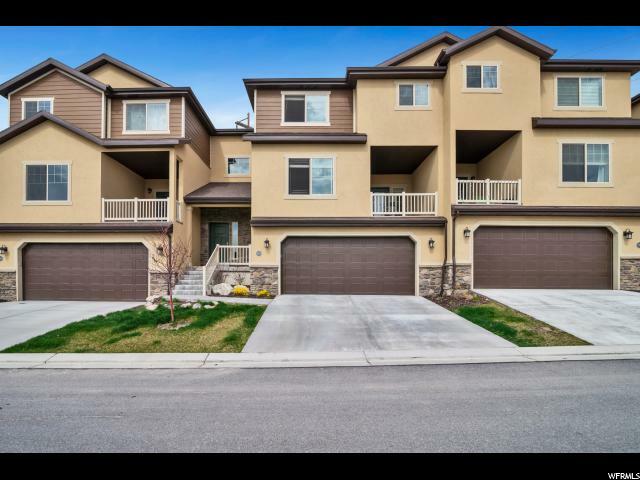 "Lovely townhome recently completed in 2016 in the much sought after Aspen Summit Community. Sold out floor plan. Located in the foothills of Provo with Great views and Many Upgrades! Home has a spacious balcony perfect for BBQ's with a view of the valley. Easy access to Slate Canyon trails for hiking and mountain biking. Close to BYU and freeway access. Clubhouse with Gym and Outdoor heated swimming pool. In immaculate condition, convenient location and very desirable neighborhood. Patio and gorgeous views. Square footage figures are provided as a courtesy estimate only. Buyer is advised to obtain an independent measurement. ***Seller Is Hosting A Family Party, No Showings After 12:00 pm on Saturday 4/6/19***"